I am about to enter a super busy month at Beautyh2t Towers. I am excited to be a volunteer at the upcoming Commonwealth games here in Glasgow and then straight after they finish I am celebrating Allys 30th birthday with a summer holiday to Madeira, Portugal! This means I need to get myself in gear right now and be half organised for our trip as with long shifts every day for the games I don’t think I will be fitting in the usual pre-holiday shopping I do so enjoy! I have never been a bikini person in my life but this year I am feeling brave enough to at least give a high -waister a chance, got my eye on this bad boy from Bank fashion, a site I have never used before but I am so drawn to the bold print ( which will hopefully draw attention away from my wobbles!!) Ebay seem to have a few pretty ones at reasonable prices too so always worth checking there. Make up base wise I have just recently purchased the Vichy SPF 50 BB cream and I am loving it so that’s one thing already in the house ready for packing. Its colour is just right, not too orange but with enough colour its not ghostly either- the coverage is just right for summer skin and it feels really light on the skin which I love.It does leave my skin with a bit of shine which needs a dab of powder but nothing too major although super oily skins might not love it. I always pack a couple of the Montagne Jeunesse face masks to take away with me to give my skin a little boost over the holiday, with SPF a and sweat building on my face I always finds it loves a good exfoliating and then moisturising sesh to keep it looking fresh and these are the perfect size for popping in my travel bag. 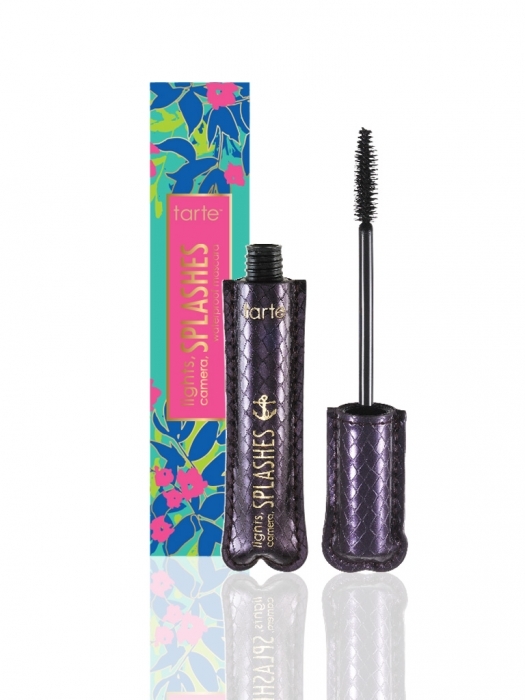 With high temps and lots of swimming ahead I am in the need for some seriously waterproof make up and this waterproof mascara and eyebrow pencil from tarte cosmetics sounds like just the products I need from having my face sliding all over the joint. I have only ever tried one of the coveted blushers from this brand and was so impressed I am definitely keen to give their other offerings a go and now that they are sold on QVC it will finally be easier to get a hold of! Sunglasses wise I will no doubt manage to fit in a quick trawl down at my local TK maxx for a good affordable pair, a quick swatch online makes me really want these cat eye Cavalli ones but I should probably save some of my money for the actual trip! I also need to think of loading my kindle- argh, anyone read anything good recently that’s worth checking out?